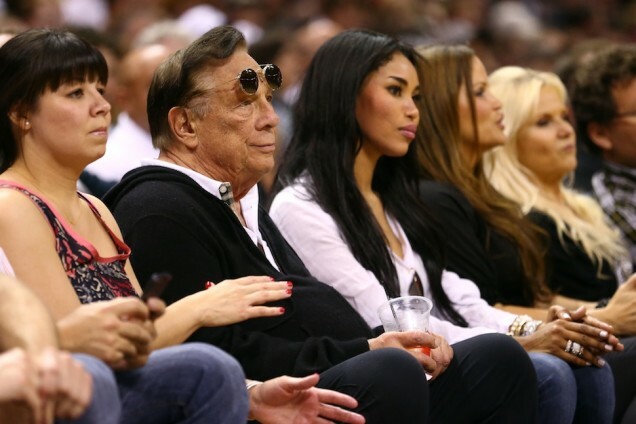 Donald Sterling doesn’t want black people to show up to his Clippers games. If the above audio is truly of Clippers owner Donald Sterling and his girlfriend, then we got a huge problem. Claims of Sterling telling his girlfriend not to publicly share photos with black people, including Magic Johnson, is confusing in a world where such actions are normal. But Sterling still lives in a privileged world where he feels he’s above everyone. Having listened to the audio last night, I felt like punching my computer. It was hateful, it was hurtful. How can a man feel that taking a photo with a man of a different race was a bad thing? Does he not realize there are a ton of fans that are black? And oh yeah, his team has black players and coaches. But the problem we have with Sterling is that not only has he been a sub par owner, but he’s been an owner with hate in his heart. What about black people does he find so disgusting that he wants no association with? Why does he feel this way? I think one of the things that doesn’t surprise me is that this happened. This is a guy who came from Jewish immigrant parents and even changed his surname from Tokowitz to Sterling. There’s an image he has to keep and at status he wants to maintain. He has been known to heckle his own players, specifically Baron Davis, and it was quite obvious that there was some kind of dangerous edge in him. He doesn’t have a good history with his own employees. He wants power and control and this may be his way of expressing it. Up to this point, it never really bothered me. I didn’t see the root of it until this audio clip came out. As a minority myself, I have had my share of people giving me looks or saying mean things about me because of my skin color. Also as a minority, I have heard plenty times of hateful things about other people of different races. It still exists to this day. But mostly, these comments are kept private and never known. Do I really think that Sterling hates black people? I doubt it. Maybe just uncomfortable. He works with them, lives near them and is surrounded by them. But is there an inexplicable uncomfortableness about them that he has? It’s apparent that there is. Even though he has worked his way up the society ladder, possibly to elevate himself away from these fears, he still knows that he lives in a world in which he isn’t fully comfortable with his surroundings. He might think he’s better than everyone who isn’t like him. His thoughts, sadly, are shared by many other people around the world. Rich, powerful people, sometimes inherit this idea that they are above everyone that isn’t like them. They feel that they are in full control. It looks like Sterling has adopted that mentality. And what a shame it is. Sterling has to know that such mentality and approach to people isn’t right in this country during this day and age. I hope the NBA makes the right decision when it comes to this. I don’t have any hate and anger towards him for these comments. I just want somebody to knock some sense into him. He has to realize that he is wrong. Once that happens, then I want to see how he reacts. A black out photo from Clippers center DeAndre Jordan was posted when news broke of this audio. He did the same thing when news of Trayvon Martin’s death became national news. This entry was posted in Los Angeles Clippers, NBA and tagged Donald Sterling, Racism. Bookmark the permalink.